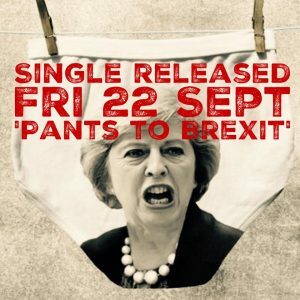 Pants to Brexit, No to Exit !! Now we need to save Old Blighty! Brexit Exit ain’t denied me! Now the choice is fight or flight. We see the iceberg on the Right. We got to make a move tonight. We gonna fall into the white sea. Captain Corbeye, might be Right? He Left us jumping into ice. He told us we would be alright. 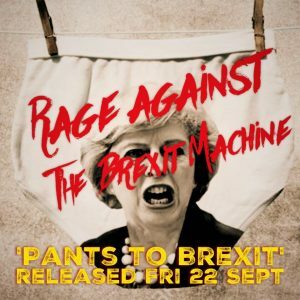 His Brexit Pants would save my life. Brexit will be a Titanic Success. Will you be my captain? I wasn’t lying about what I said on that bus! Make Brexit as big as the Titanic. Are you experiencing brexual tension? Me and you Boris, let’s make a Titanic Success of it. It’s gonna be great, it’s gonna be fantastic. You’re as cool as an iceberg. Brexit means ‘Brexit we must’? Brexit is gonna be great for Donald Trump. It’s gonna be great for Donald Trump. 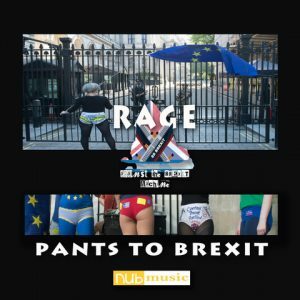 The musical influences for “Pants to Brexit” were Erasure, The Cheeky Girls, Brian Eno, Madonna, Abba, Depeche Mode, Fad Gadget, U2 and Bill Nelson via the E-Bow guitar. Never before have such a rich assembly of artists combined in such a fortunate way. … we have a small favour to ask. Sharing our videos is great but it don’t pay da bills. 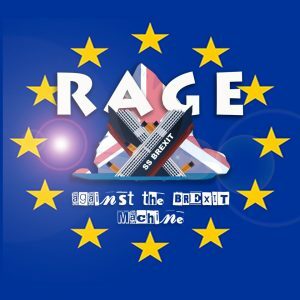 If you want to screw Brexit populism through pop music please support us by donating to our Go Fund Me site where you can find a host of offers from simple donations through to special editions and sponsorship offerings to help us continue our work. Click the logo to donate now or ask a friend.